Super Eagles’ Manager, Gernot Rohr…September 7. PHOTO: AFP. Super Eagles Technical Adviser, Gernot Rohr has said that his team would approach Nigeria’s forthcoming international friendly match against Egypt like a cup final game. 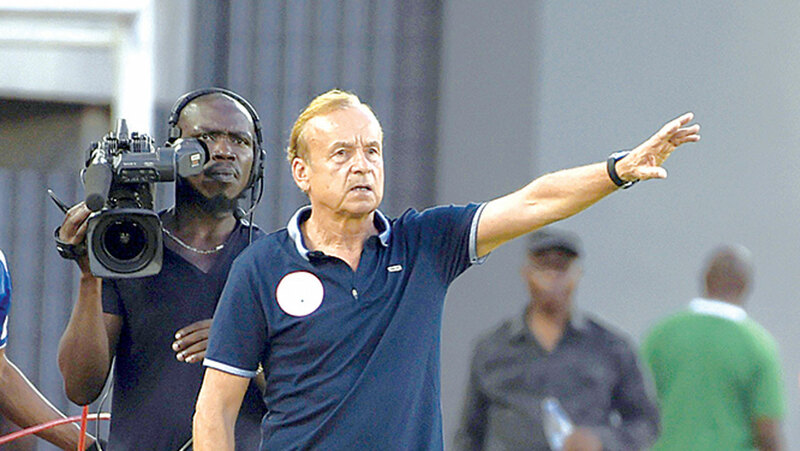 Speaking yesterday during a telephone interview with Lagos based radio, Brila Sports, Rohr said the international friendly game would test his team’s preparedness for this year’s African Nations Cup to be hosted by the North Africans. The Pharaohs of Egypt, who are the new hosts for the 2019 Africa Cup of Nations after Cameroun was striped of the hosting right due to political unrest, will face the Super Eagles on March 26 at the Stephen Keshi Stadium in Asaba. And the German tactician said nothing but victory against Egypt would be a perfect result for him. “I and my assistants are not taking the friendly match against Egypt lightly,” Rohr said. After the game against Egypt, Nigeria will meet Morocco in another test game and also play other preparatory games before the African football showpiece.